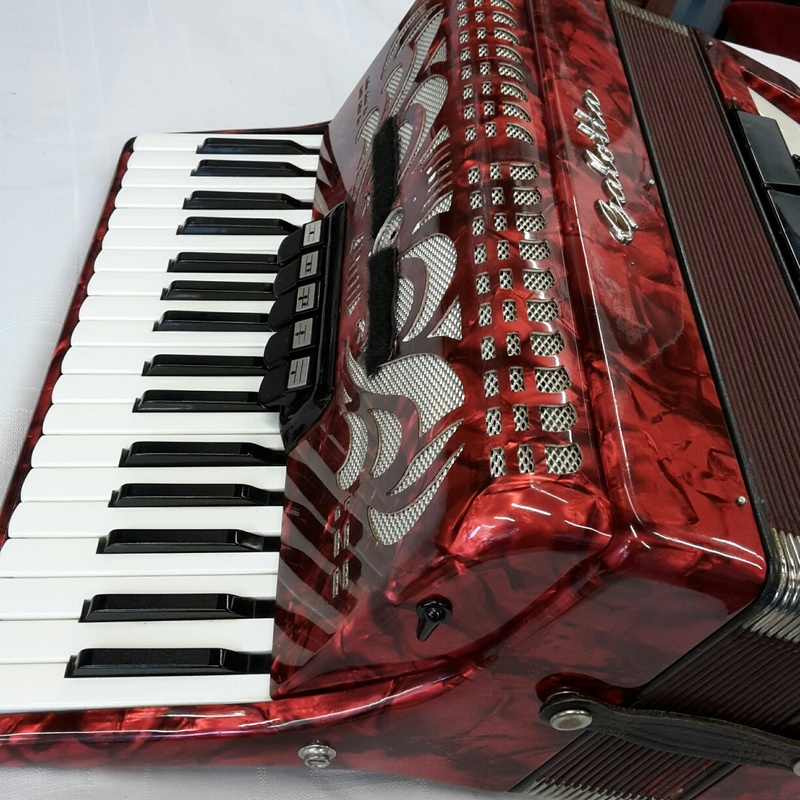 A decent quality German made instrument with 37 piano keys & 80 bass buttons finished in red pearl. These accordions are also sometimes badged with the Weltmeister name. 1 year component part guarantee. 80 bass accordions have the same number of piano keys (37) as 96 bass models but they have 5 rows of bass/chord buttons instead of the six. There is no diminished chord row. Because of this, they can often be lighter in weight than an equivalent 96 bass accordion. 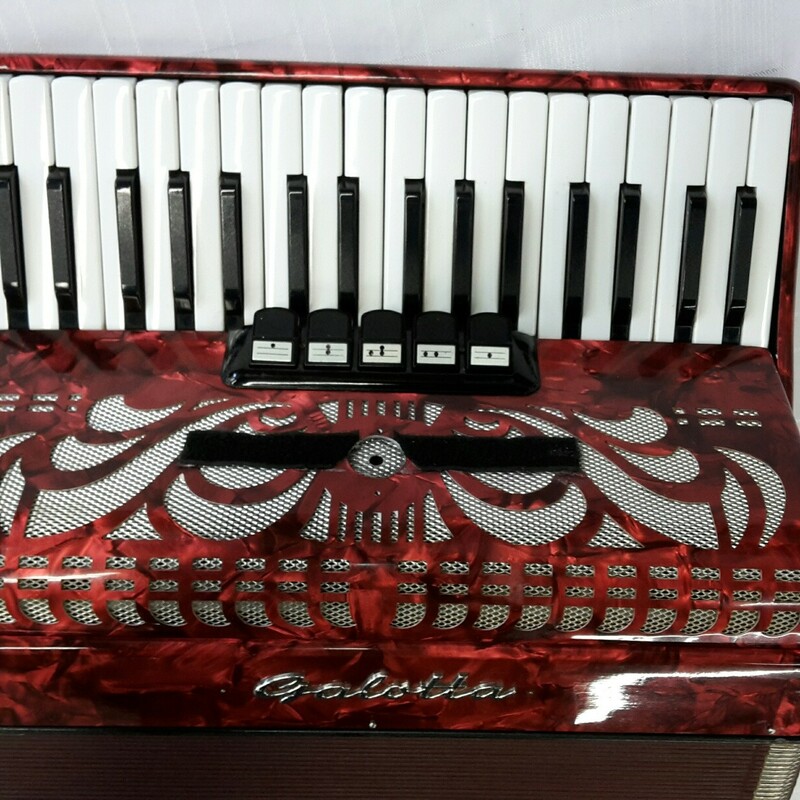 A 0% interest free loan is available on this Galotta 80 bass accordion subject to status via the Arts Council. Terms and conditions apply – please contact us for full details. This Galotta 80 bass accordion comes complete with your choice of either a soft gig bag or a hard case, padded shoulder straps and a three year component parts guarantee. 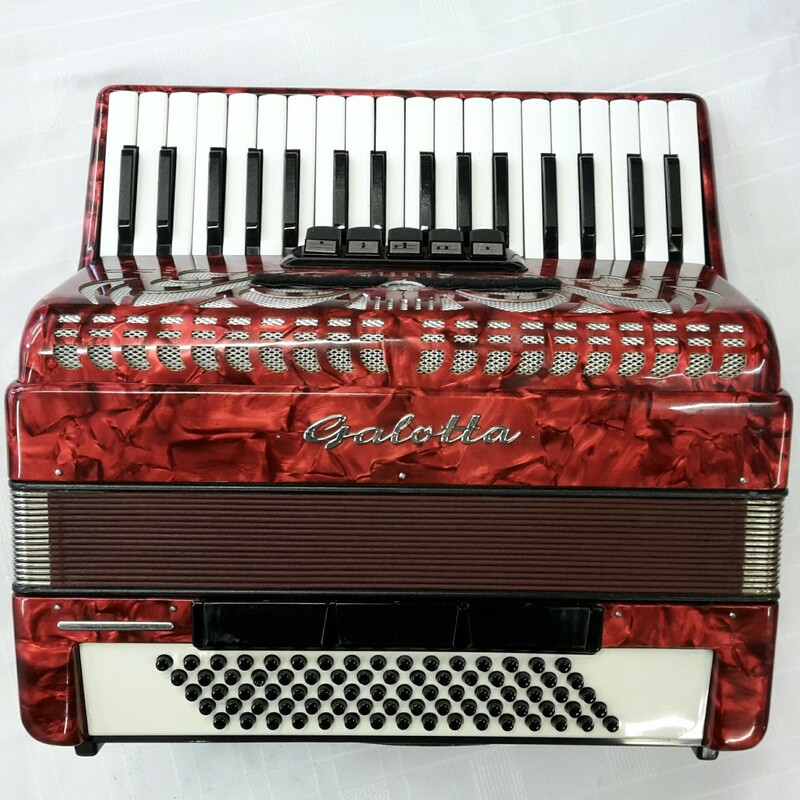 Don’t forget, free delivery of this Galotta 80 bass accordion to most parts of mainland UK is included in the price! Weight: 8.16 Kg. - 18.9 Lbs.